Fender is one of the most popular guitar-makers in the market. When they first started out, they were focused mostly on making high-end electric guitars, but recently they moved to Acoustic Guitars too, and they seem to be doing a pretty good job in that field. Fender acoustic guitars are considered to be the best guitars for beginners because they have a lot of easy-to-play options which do not cost a fortune. 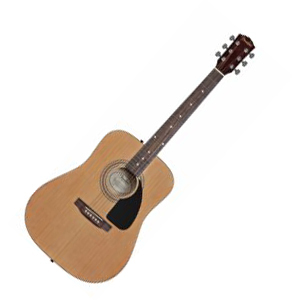 They have a lot of models for beginners, but one that stands out is the Fender FA-100 Acoustic Guitar. The Fender FA-100 is a full-sized guitar which means that you can experience a full-sized guitar without having to pay a large amount of money. Considering the price of this guitar is pretty low, you shouldn’t expect to get the best sound out of this guitar if you’re an experienced player. If you are someone that is just starting out, this model can be a great guitar for you. 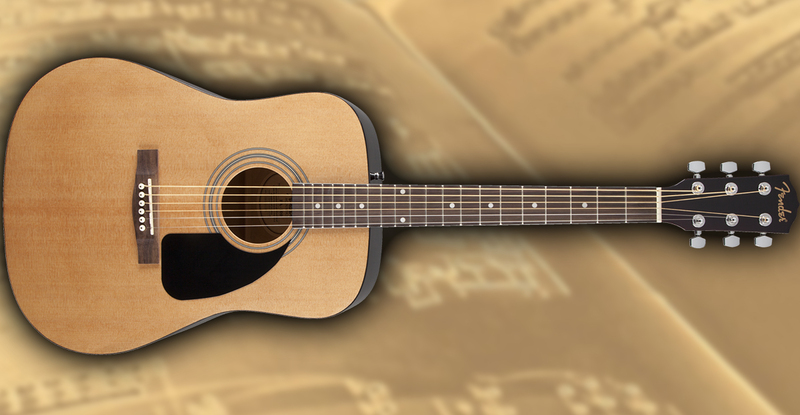 This guitar rocks the classic dreadnought style. This is one of the things I love the most about Fender guitars because instead of making their guitars look fancy to attract new customers, they always chose to go with the classic look. As for the materials used in creating this guitar, Fender used laminated spruce for the top & basswood for the back and the sides. This is commonly found on low-cost guitars. The neck is made of maple wood & the fretboard is made of laminated hardwood, which is also common on budget guitars. This doesn’t mean that this guitar is a low-quality guitar. Contrary to that, it means that you get the best value for the money you pay. There are some guitars which cost 3 times more than the Fender FA-100 and they have similar materials. It all depends on what you plan to do with it. If you are buying an acoustic guitar just to play it when you are bored, then sure. If you are planning to learn to play the guitar professionally and taking it with you to gigs and shows, then I wouldn’t recommend it. The sound is just not that good to be used as a professional musical instrument. On the other hand, it’s a great guitar for practicing. If you have a larger budget and you want to make sure you learn to play the guitar well before investing a larger amount of money into a higher-quality guitar, then the Fender FA-100 is the perfect contender for that. 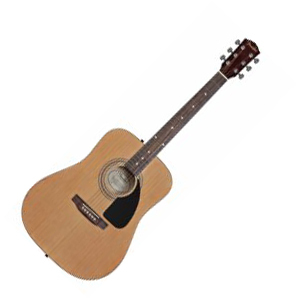 Overall, I would say that it’s a great guitar for beginners and for kids. Most people buy a guitar, then they get bored of it and stop playing it after a month. If you think you are that person, then go with the Fender FA-100. If not, you should get a better guitar such as a Martin, Taylor or high-end Fenders.